Red Grooms rose to prominence during the pop-art era. In addition to producing painting, sculpture, and installations, Grooms has been a prolific printmaker. His art often combines social and political commentary and humor. 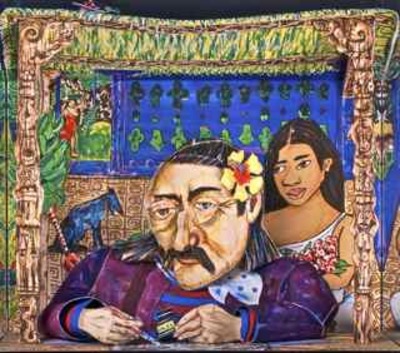 South Sea Sonata is a color lithograph cut-out construction that pays homage to (as well as pokes fun at) post-impressionist painter Paul Gauguin (French, 1848-1903).